The Attendify App is an Attendify branded container app. With it you can publish instantly, rather than having to wait the standard 7 to 12 days that the App Store usually requires to approve and publish a branded app. Find events in the search field, this is where attendees would enter the name of your event to join it and access its content. This field makes it incredibly easy for attendees to find and join your event. Your Events - the list of events the attendee has already joined. Like any other Attendify One Event app, every attendee has their own profile and the user experience is exactly the same. As soon as they join an event they will have access to its Activity Stream, in-app content, push notifications, and other social features. 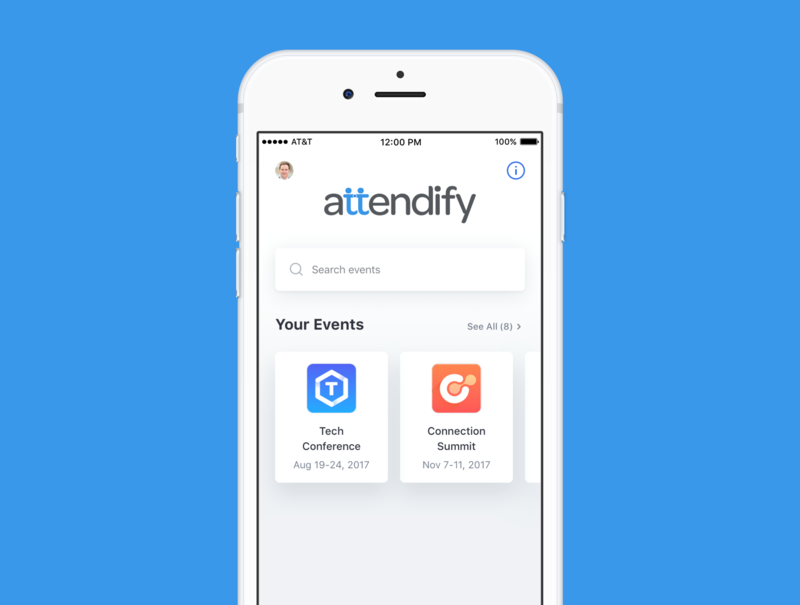 A significant advantage that this new app provides is that attendees only need to create one profile to access any event housed within the Attendify app. Gone are the days of having to create a new profile for each app! The Attendify app has the same deep reporting, social analytics, and content management tools as the One Event app does, too. You can see a more in depth comparison between the two here.